Where has the year gone? Summer is here already! It’s time to hit the beach, take advantage of the long days and enjoy the warm evenings. What better way to start summer than Santa Barbara weekend vacation getaway? Need some ideas for a California coastal road trip? We recently published a quintessential itinerary with our favorite spots, and a helpful review of rooms with porches and why they are the best in the west. If driving just isn’t your thing, check out the airfare deals on OneTravel and save big on your flights. CheapOair usually has some great deals as well. Our Photo Contest results from last quarter are in! Congratulations to Alec Rios, the winner of our selfie contest and a $100 gift certificate. There are many exciting events on the summer horizon in Santa Barbara that you may wish to put on your Calendar. Remember to book your room early. We tend to fill up fast around these local events below. Stearns Wharf Music and Fun – JULY 4th, 2018 – Enjoy live Music beginning at 11:00 a.m. and hang out and enjoy the festivities until the City’s fireworks show begins at 9 p.m. where visitors will have one of the best views in Santa Barbara. 4th of July Art Show – JULY 4th, 2018 – Visit the Old Mission Santa Barbara (2201 Laguna Street) for a special 4th of July Art Show and view 80 incredible artisans for one of the largest and longest running art shows in California! Free parking and admission! 10 a.m. to 5 p.m.
4th of July Parade – JULY 4th, 2018 – The 55th Annual 4th of July Parade begins at 1:00 p.m. at Micheltorena Street, proceeding down State Street to Old Town Santa Barbara, concluding at Cota Street. Over 175 agencies will parade to a patriotic theme for the community to enjoy. Contact (805) 259-4394 for more information. 4th of July Sunken Gardens Concert – JULY 4th, 2018 – Another community favorite is the free Annual 4th of July Concert held at the Santa Barbara Courthouse Sunken Gardens starting at 5:00 p.m. The concert features the Crown City Brass Quintet performing songs of America with Music by John Philip Sousa, Scott Joplin, Leonard Bernstein and more. Santa Barbara City College 4th of July – JULY 4th, 2018 – Santa Barbara City College is proud to host a family-friendly 4th of July viewing at their Main Campus. Bring your lawn chairs and enjoy views of the fireworks show at the Santa Barbara Waterfront. Food Trucks will be on site from 4 – 8 p.m. Guests are welcome to bring their own food, but please be advised that no alcoholic beverages are allowed on campus or in parking lots. These Colors Don’t Run – JULY 8th, 2018 – Event will take place at the Veterans’ Memorial Building on Sunday, (12 p.m. – 7 p.m.) with a South Pacific theme. The day will feature live music, dancing, special performances, a military car show, an art show, silent auction, pinup show, unique patriotic and tropical drinks, kids games, BBQ, and sunshine. French Festival – JULY 14th,15th, 2018 – The annual French Festival coincides with France’s Bastille Day Weekend. Each year over 20,000 people are expected to attend. It is always a great weekend for fabulous food, dancing, and a celebration of everything French. California Wine Festival – JULY 19-21, 2018 – Thousands of wine lovers are set to pour into Santa Barbara’s sun-splashed beachside location for a weekend of sun, sea, wine, food, and music at the California Wine Festival. Santa Barbara Greek Festival 2018 – JULY 28th, 29th, 2018 – 11:00 am – 7:00 pm. This festival evokes the sights, sounds and tastes that define the traditional Greek way of life. Held annually on the beautiful grounds of Oak Park. Old Spanish Days Fiesta – AUGUST 1st – 7th, 2018 – Our strong Hispanic community and Spanish history combine to make this one of the biggest events of the year. Wednesday to Saturday during the first week of August. If you are itching to explore more of what Santa Barbara has to offer, download our complimentary Santa Barbara Vacation Guide, “101 Free Things to Do in Santa Barbara,” and get ready to get busy. Old Spanish Days (the longest horse parade in the U.S.) is just around the corner. Surprise your sweetheart with a weekend trip to the most romantic city in the US, Santa Barbara! For more information, visit our website at http://TheEagleInn.com or call 805-965-3586 to make hotel reservations today! We have several hotel packages to choose from. 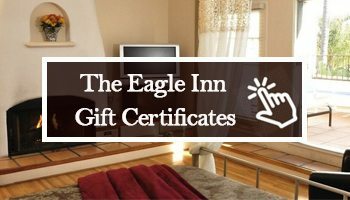 Each is unique and offers a different way to make the most of your time at the Eagle Inn. Enhance the feeling of pampered opulence by selecting one of our rooms or casitas with a fireplace & double size in-room whirlpool tub. Packages can be reserved during our online reservation process. 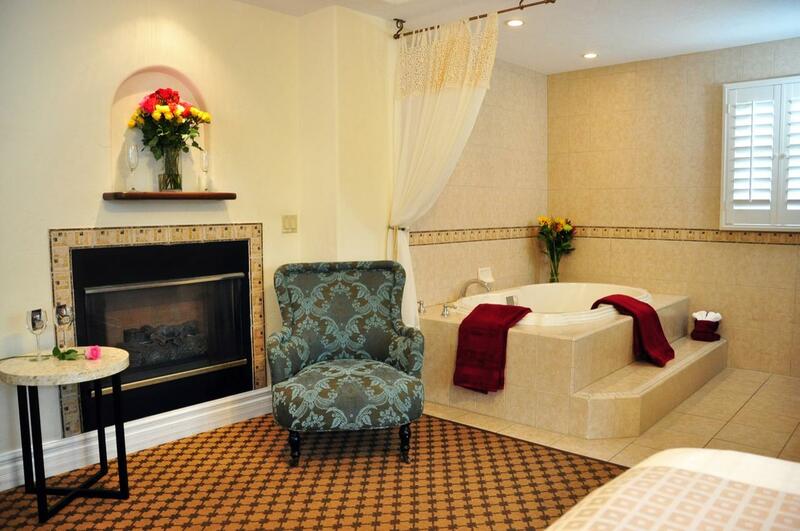 Experience all that Santa Barbara offers by booking a room today. Enjoy free off-street parking, complimentary breakfast, and free wi-fi during your stay. Call us at 805-965-3586 to make sure you get the room that will best suit your needs. p.s. Want a great gift idea? Show your appreciation for a friend or co-worker with an Eagle Inn Gift Card. Click here to order a gift certificate using our online system, or to do it by phone, call us at (805) 965-3586 and place your order. 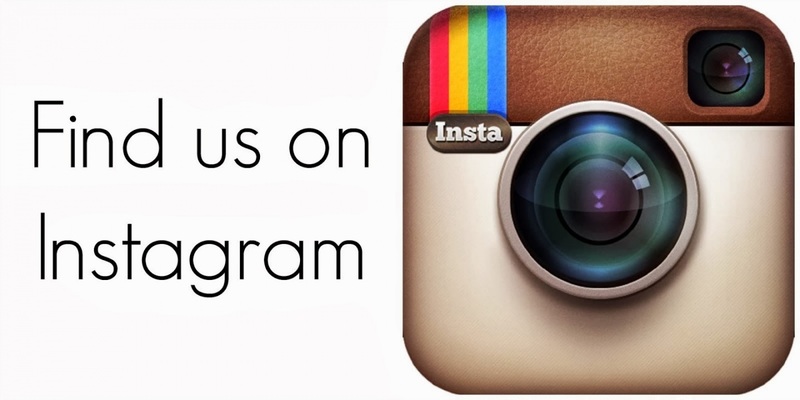 Follow us on Instagram for beautiful photos of Santa Barbara! 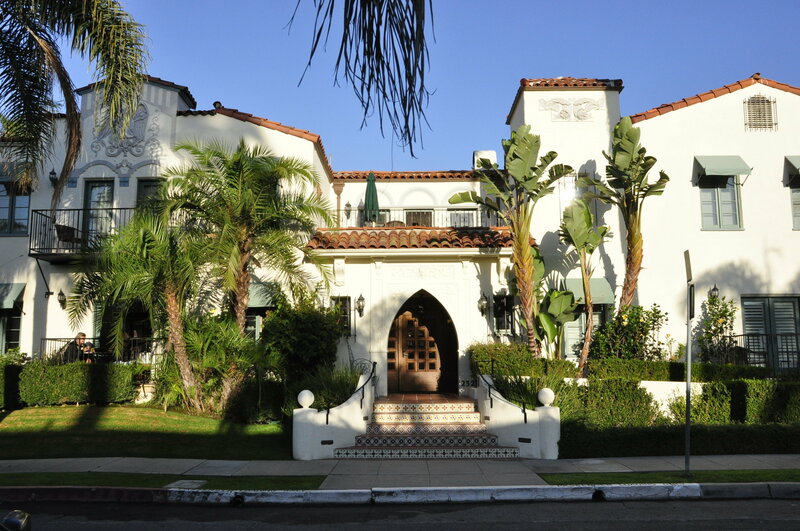 About The Eagle Inn: Located at 232 Natoma Avenue, Santa Barbara, CA, The Eagle Inn is one of the best beachside bed and breakfast hotels in Santa Barbara. Relax in comfortable surroundings just steps from the beach. Check the web site for last minute Santa Barbara hotel deals and hotel packages. Follow on Facebook for upcoming Santa Barbara events and Instagram for stunning photos. Call the front desk at (805) 965-3586 to learn more about hotel discounts and local deals. A gift certificate is the perfect gift for a wedding, birthday, holiday or just because! Call us at TEL: (805) 965-3586 or order online. 8AM-10PM seven days a week. Get our exclusive "internet only" hotel specials, along with SB vacation planning tips and noteworthy local events.